Our president, Audrey Gunter, talks with Lowcountry Boy Scouts at this year’s Spring Rally as part of our “Paws 2 Educate” Initiative. 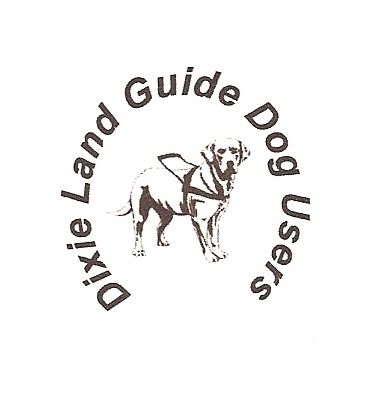 We Dixie Land Guide Dog Users believe that the key to a better understanding of the blindness community among the community at large lies in our creating a positive presence within that community. As young people learn to drive, they are taught that blind pedestrians have the right of way, but they are often not taught how to identify a blind pedestrian. 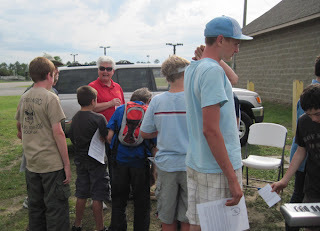 This gathering of the Lowcountry Boy Scouts provided a wonderful opportunity for us to share this information with over one hundred future drivers! 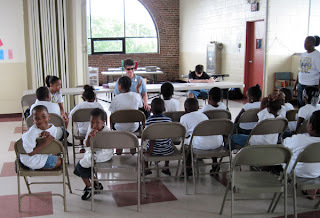 We also assisted the boys in earning their merit badges for Disabilities Awareness. 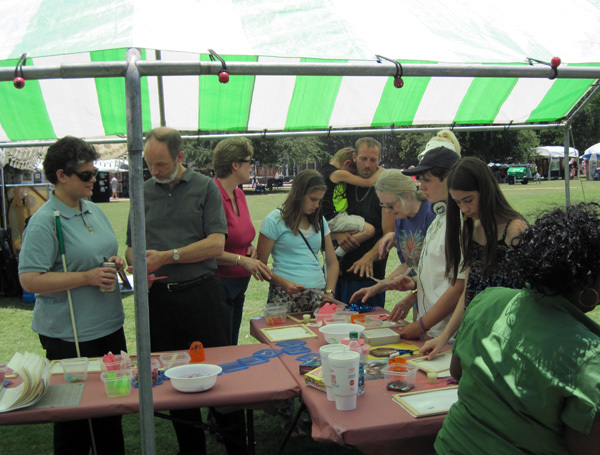 As the summer began, we gathered at Francis Marion Square for an afternoon of music, fellowship, food and art appreciation. This gathering was part of our “Keeping Families Focused” initiative. Local Artist Danita Cole gave Dixie Landers, our families and guests the opportunity to create our own unique tactile art using melted bees wax of different colors with a variety of objects and cutout shapes. 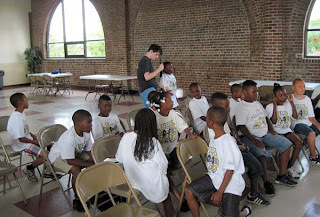 Lunch was provided, thanks to the sponsorship of Retina Consultants of Charleston. 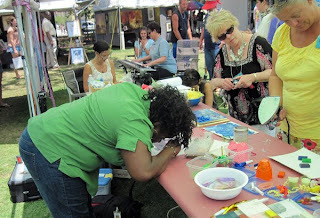 We were honored by several guests who accepted our invitation to attend this event. Here, our Secretary/Treasurer Laurel Jean talks with Shelby, one of our “outa sight” youth, and Pastor Dave Andrus, Director of St. Louis, Missouri’s Lutheran Blind Mission. 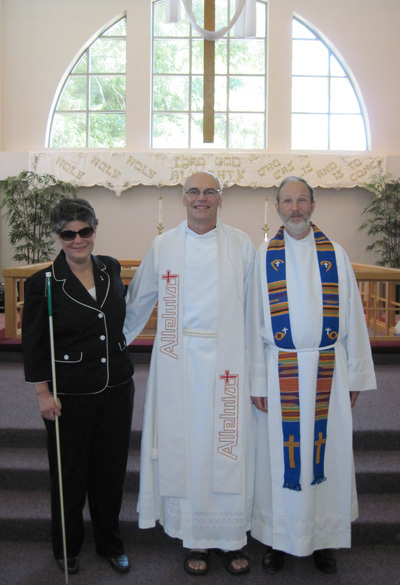 Pastor Dave was visiting Charleston to help start a Christian outreach center for the blind here in the Lowcountry. We were also honored to have in attendance Miss Nia Green, president of our local chapter of the National Federation of the Blind. Here, Laurel Jean poses with Pastor Ed Grant of Calvary Lutheran Church, Charleston, SC and Pastor Dave Andrus, Lutheran Blind Mission, St. Louis, MO. Dixie Landers have been actively participating in the beginning of the Friends of Bartimaeus Christian Outreach Center for the Blind, one of over 60 such outreach centers throughout the United States. 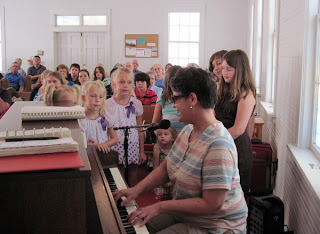 Our thanks to everyone at Calvary Lutheran Church for serving as the host site and supporting church for this unique ministry! 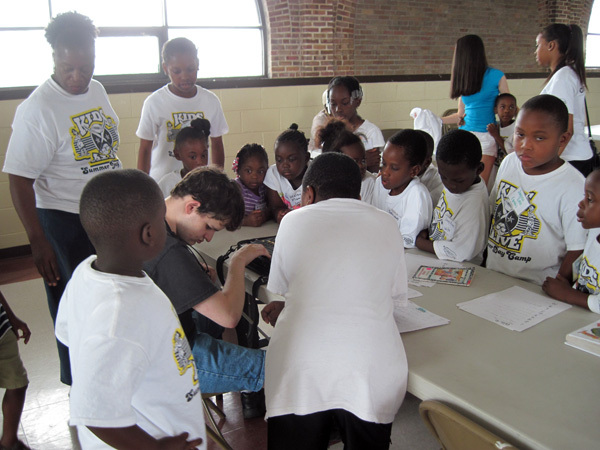 Our Vice President, Taylor Jones Stebbins, demonstrates accessible technology to Living History Summer Day Campers, showing them how he can play computer games as they do. The games are sound-based and allow him to use his keyboard with speech and Braille output to navigate them. Dixie Land’s “Paws 2 Educate” Initiative played an active role in two summer day camps this year. Our thanks to Miss De with the ASPCA along with Miss Patti Smith and the City of Charleston, for making us part of their summer camp schedules! People rarely get to see a guide dog out of harness. Here, fellow Dixie Lander Brianna Murray allows her guide to take a break during one of our visits to the ASPCA Summer Bark Camp. Also at Bark Camp, Laurel Jean introduces day campers to Braille, helping them to write their names and showing them the Braille alphabet. 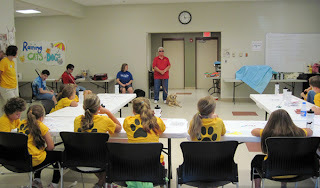 Back at the Living History Day Camp, Audrey and Brianna talk about guide dogs and answer questions. 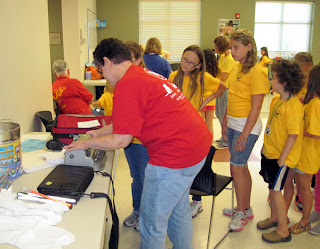 Laurel shares more about Braille literacy by reading to the campers. 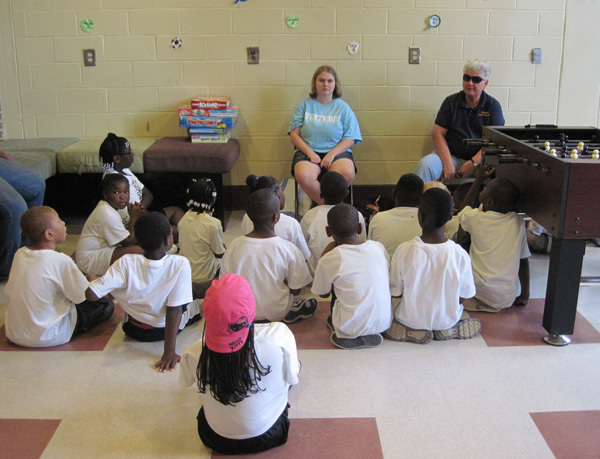 As the children tell “Miss Laurel” about the pictures in the book and she reads to them, important lessons are learned about how the blind and the sighted can work together. Laurel demonstrates the “sighted guide technique,” the proper way to assist and walk with someone who does not see. 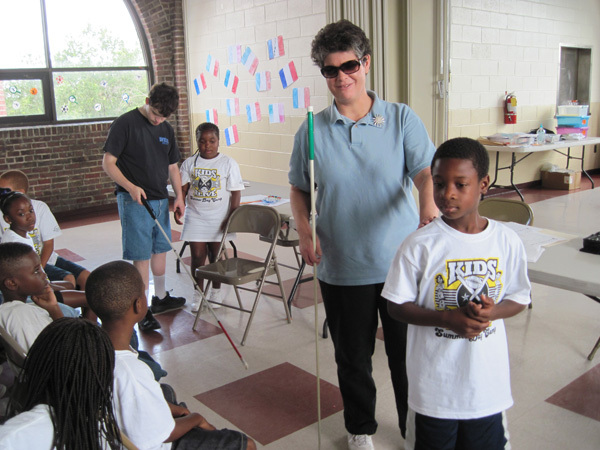 Taylor demonstrates the proper use of a long, white cane. 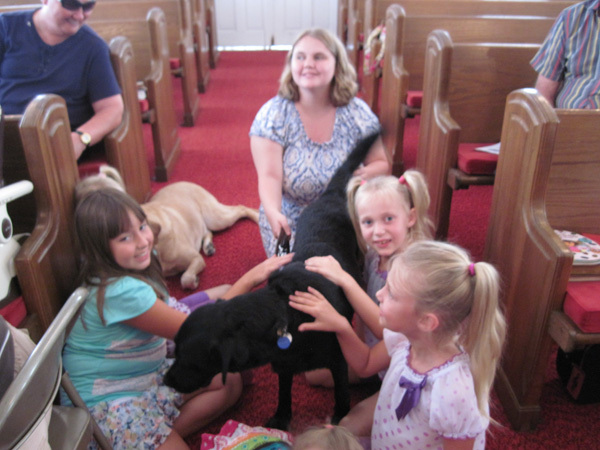 Brianna and Lacy take a break and enjoy spending time with children after a special Worship service at Rehobeth United Methodist Church, McBeth, SC. 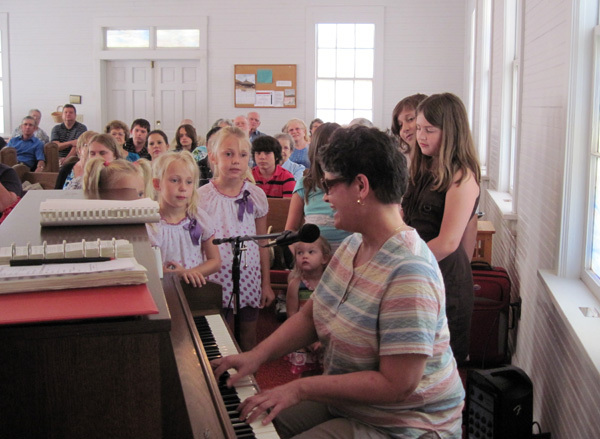 Our thanks to the folks at Rehobeth for scheduling Music By Laurel Jean and making her invited Dixie Land guests feel so welcome! 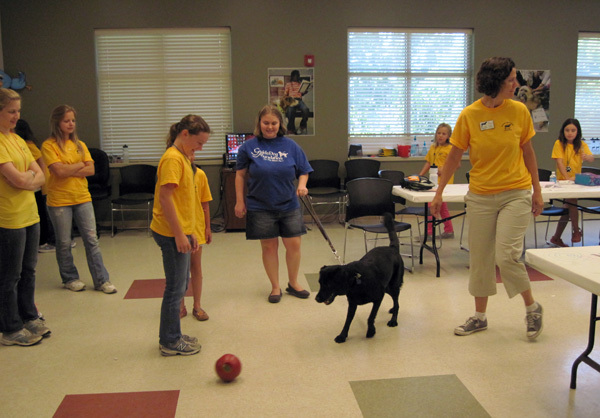 The fall schedule already has our “paws to the pavement.” Watch for more highlights like these! 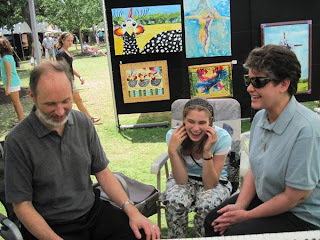 Thanks for your ongoing support!